FOX isn’t backing down on its animation block as it has announced that both Bob’s Burgers and Family Guy will be returning for their 10th and 18th seasons for the network. 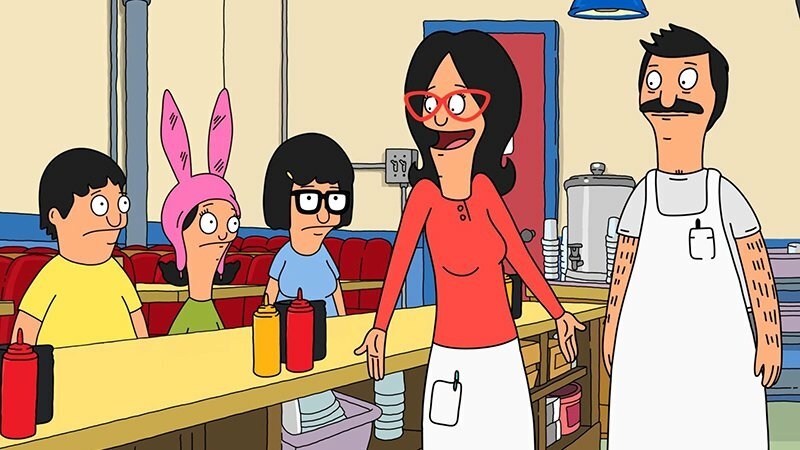 Bob’s Burgers, which first premiered on FOX TV in January 2011, has become a firm favorite of critics and fans, prompting wildly enthusiastic reviews and generating a whirlwind of viewer interaction on social media and through live events. Between its Sunday night airings on FOX and Hulu, nearly 8 million people watch the show in the US and its popularity is growing internationally. The series follows the lives, loves and misadventures of the Belcher family and their friends and rivals. Bob Belcher runs a hamburger restaurant in a seaside town, with his ever-optimistic wife Linda and their three children: the self-conscious Tina, goofball Gene and precocious Louise. Since launch, the show has won numerous awards, including two Emmys, spawned a best-selling cookbook, and a soundtrack album. For the last three years the show has gone on the road with the Bob’s Burgers Live tour, selling out venues across the United States. Fan loyalty was also celebrated with a special fan-drawn Season 8 premiere in 2017 and whose ninth season currently airs on Sunday nights. Family Guy premiered on January 31, 1999 and was actually cancelled by FOX in 2002. Following the popularity of reruns and DVD sales, the show was revived on the network in 2005 and has now run for 17 seasons. It later spawned a spinoff in 2009 titled The Cleveland Show, which ran for four seasons, as well as MacFarlane’s similarly-themed (though not directly related) American Dad! Family Guy just recently celebrated its 20th anniversary during its 17th season, which featured a widely talked about episode in which Peter Griffin and Donald Trump engaged in an epic fight. The series follows the Griffin family and their up-and-down lives that feature wild, hilarious and controversial adventures. Peter Griffin works at the Pawtucket Patriot Ale brewery in Quahog, Rhode Island while his wife Lois is a stay-at-home mom and helps try and raise their three kids: the socially desperate Meg, the socially awkward Chris and their murderous infant Stewie, who’s best friends with their talkiing dog Brian. The post Bob’s Burgers and Family Guy Renewed at FOX appeared first on ComingSoon.net.